This month I attended the US National Championship for my fourth time, and I was able to make my third consecutive Top 128 or better finish in the tournament using a M Rayquaza EX deck that utilized Bronzong for Energy Acceleration and to support backup attackers that help take care of M Rayquaza’s weaker points, such as dealing with Safeguard Pokemon. During States, I played another Mega Metal deck with Mega Aggron and needless to say, things went much better with Mega Rayquaza and its lack of coin flips! I had the pairing of Bronzong and M Rayquaza on my mind fairly early in the format as a potential play for Nationals, but didn’t put it together before Spring Regionals to focus testing solely on my Dragons deck. During that weekend of Regionals, both Squeaky Marking and Steve Guthrie did well with the deck, providing both a blessing and a curse. The blessing is that it gave me a better starting point for the deck than I would have if they didn’t make the deck, play it, and share it. The curse of course is that other players would then have the deck also, but I feel as though I ended up figuring out the mirror fairly well during testing, so getting a better starting point for the deck was overall a positive. 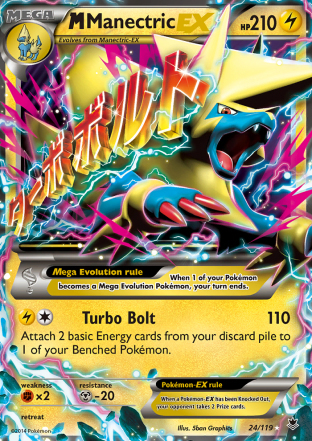 While there was quite a bit of Lightning decks at the tournament, it’s very unclear how much of this was built with countering Mega Ray in mind. This was the first National tournament that I ended up going in with a meta deck. 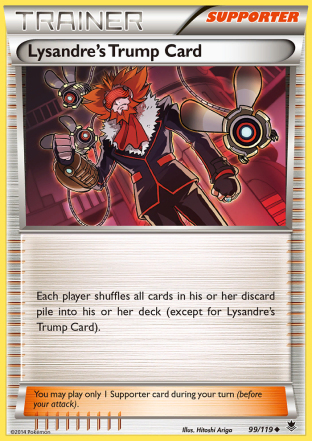 The Lysandre’s Trump Card ban is mostly responsible f0r this, as it erased a lot of the thoughts on the format that I had already fleshed out in preparation for Nationals. It was difficult to see how the format would shake out as a new set of decks were set to take center stage in the format, so it was hard to prepare a rogue deck that properly countered the format. I ran a meta model for US Nationals to figure out what the best plays relative to the meta game were. This was the second tournament I ran a model for, so while I take into consideration what it tells me, I’m not at the point yet where I religiously follow what it tells me either. I was a little uneasy about the model for Nationals, as I had to make educated guesses on how much various decks would see play. When I ran a model for Spring Regionals, I was able to take the meta shares from State Championships to have a very accurate picture of how much each deck would see play. The results showed Primal Kyogre EX as being the safe play with an expected match point total of 20.25-22.68 on average. M Rayquaza EX was the deck with the most upside, but it’s matchups are less polarized than Kyogre’s giving it a wider range of results giving an average expected match points of 13.23-24.57. I ended up deciding to go with M Rayquaza over Primal Kyogre, even though Kyogre was a safer play to make Day 2 of the tournament. 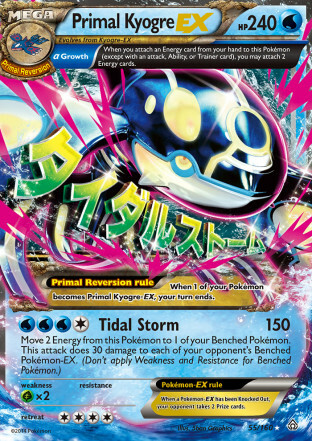 I felt that I am skilled enough that I could tilt enough 50/50 matchups into my favor to push more towards the upper end of its range, and Primal Kyogre is kind of clunky, and I’ve had issues with clunkier decks picking up ties at large tournaments in the past. In general, given a choice between two decks for a big tournament, I am going to favor the deck that I feel is less likely to tie during the tournaments as ties are an undesirable result. I’m not that great at avoiding ties with the slower and clunkier decks, so I felt M Rayquaza played better to my pace of play than the slower Primal Kyogre deck did. 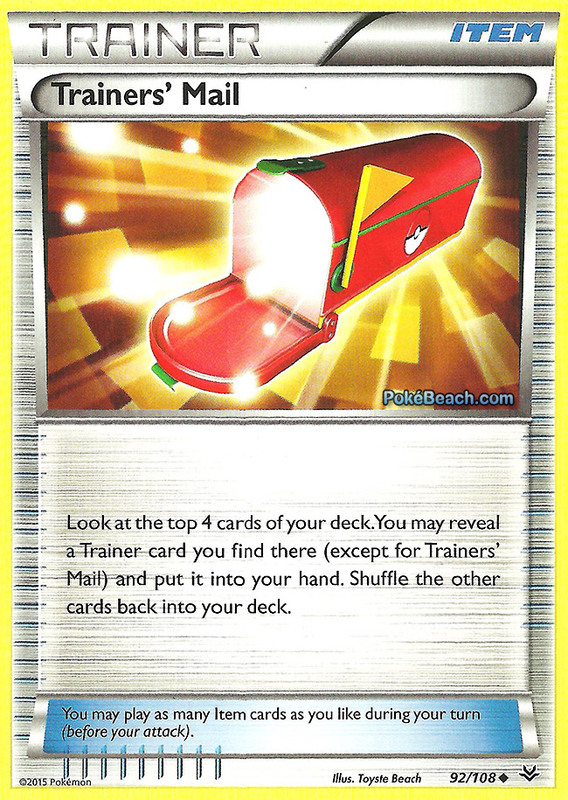 If you read this site, you might know I’m not that big of a fan of Trainers Mail. 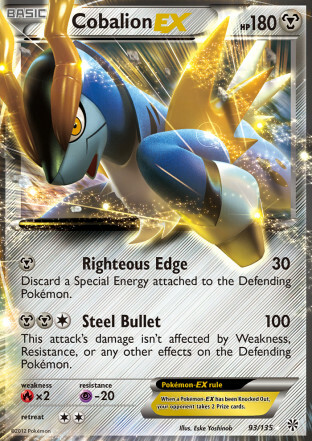 The card has gained some value in my eyes, I think it’s good in decks like Night March and M Manectric EX that can make good deck cores using 56-57 cards, but overall I still believe that in most decks there are more impactful cards to add to your deck over Trainers Mail to improve your deck’s matchups. Therefore, went into building this deck without Trainers Mail. Some other players in my area played a version with Trainers Mail and less Supporters, and one of them ended up with 19 points as well, so it is probably a preference thing where it’s just two different ways to get to a similar end, although matchups could tilt based on what style you play. For example, the Seismitoad matchup will always be better the less Items you play and the more Supporters that you play. I went with a 3-3 M Rayquaza line alongside 3 Rayquaza Spirit Link. I really wanted to emphasize being able to consistently get out two M Rayquaza EX as consistently as possible. I think I diverged how I played the deck from some other players who played it, as I almost never attacked with anything except for M Rayquaza EX. 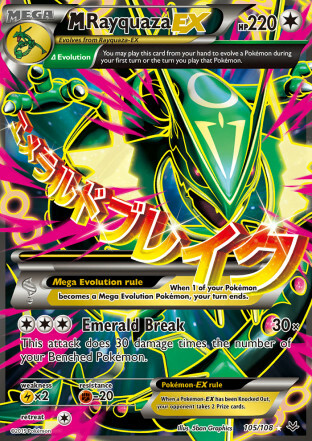 There were very few situations that I felt that anything else in the deck provided a better attack than Emerald Break. I only used Kecleon in my Bronzong mirror matches, Cobalion EX against Seismitoad EX, and I never actually attacked with Aegislash EX for the entirety of the tournament. The pre-evolution I went with was exclusively the Colorless Rayquaza EX. It is much more useful of an attacker against Seismitoad EX, so I think it’s better. The Dragon one is slightly better against M Manectric as it lets you leave one active and then evolve into it the next turn without it getting knocked out. If I were to use it, I would go exclusively to that to aide that matchup as I don’t think switching one of them to a Dragon would have much impact. I also went with a 3-3 Bronzong line, and even after the tournament I’m not sure if I should have cut it down to a 3-2 or 2-2, or if it was best left as a 3-3 line. The logic behind the 3-3 line is that it allows you to more consistently get two Bronzong onto the field at the same time, and if you have two Bronzong on the field you can power up any of your attackers with a double Metal Links followed by a manual attachment. 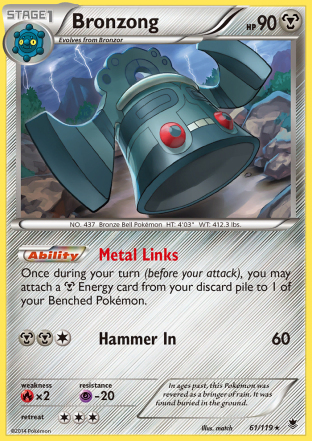 However, as I heavily favored attacking with M Rayquaza, generally a Metal Links and Double Colorless attachment would get the job done. The last change I made to the deck the night before was to slip in a 1-1 Altaria line. I felt that M Manectric was picking up momentum and the Altaria line could also be used to improve your Raichu matchup and also give you a chance against Night March. I opted for 4 Sky Field over 3, as I never wanted to leave myself in a situation where I was unable to attack for maximum damage because I had run out of Sky Field and my opponent had won the Stadium war for the game. Before I headed to Nationals I had Cobalion EX in my deck as a Safeguard counter, but switched it out for a Heatran as Heatran not only could knock out Safeguard Pokemon, but also act as a non-EX attacker giving a more favorable prize trade against decks like Night March and Raichu. Before writing my deck list and going to sleep for the night I had a change of heart again, and slipped Cobalion EX back into the deck for Heatran. I did this primarily because Cobalion EX attacked for [M][M][C] instead of [M][M][C][C]. I felt this was the right choice to go with as it would make me be able to more reliably power up Cobalion EX in one turn to deal with a Safeguard threat. 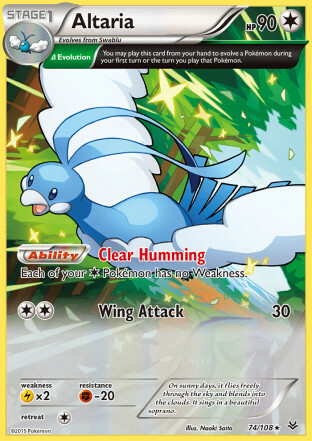 Additionally, Cobalion EX had added utility against Seimsitoad EX for discarding their Double Colorless Energy. Next, here are some cards that went in and then out of the deck before the tournament began. The first two fell out of the deck at the last moment to make room for Altaria, and the latter had gotten cut earlier in the process. Battle Compressor is a card that I really wanted to fit in. The deck actually does a very good job at working with Bronzong without it as you never attack until turn 2, so you can always manually attach twice to your first M Rayquaza to power it up. After that, you will have had plenty of time to find Metal Energy and discard them with Ultra Ball and Professor Juniper. I still wanted a Battle Compressor to give me an option to chuck a Lysandre into the discard pile so I had greater access to it earlier in the game. 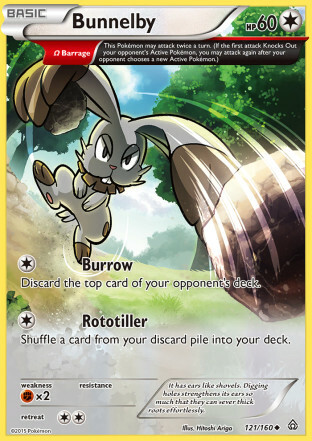 Bunnelby was the last card I cut from my deck to make room for the Altaria. This was a painful cut as I really liked Bunnelby in the deck, but I felt Altaria would be needed to do well with a greater M Manectric presence looking like it would show up. This deck generally gives prizes up in multiples of two, so giving up a one prize Bunnelby is rarely detrimental to your overall game strategy. Bunnelby is very strong as it can put back Sacred Ash if you have to discard it early, can get back Double Colorless Energy as well as Sky Field if you run out of Stadiums in the Stadium war. As the tournament developed, it also became clear that Bunnelby had even more value during this tournament as it was a hard counter to the Wailord EX decks that saw play, so if I had moved onto Day 2 I would pobably have been kicking myself for cutting out Bunnelby as soon as I got paired against a Wailord deck. Overall I finished 6-1-2 for 19 points, but finished short of making it into Day 2 on resistance. The resistance bubble was a lot higher this year than it was last year and I believe there are two reasons for this: 1.) There were more players and 2.) There were less ties this year. Having byes this year to add 100% resistance for a round or two were very important this year, so if you were at 19 points and without a bye, your probability of moving onto Day 2 wasn’t great. I actually calculated it out, and had I not lost the finals of Missouri States and picked up a first round bye and used that as the resistance for my first round instead of my first round opponent I would have gotten good enough resistance to finish 33rd in my flight, so either way I would have missed Day 2 on resistance, however, with the bye missing could have been filled with some soul crushing disappointment. The deck worked very well for me throughout the tournament. I went 14-6 in the individual games that were completed. Going in, I expected to play against either 1 or 2 Lightning based decks (either Raichu or M Manectric). I was hoping the Altaria inclusion would help swing at least one match against a Lightning deck, but it didn’t work out that way. Obviously I would hope to only play against one (or none if I was super lucky) Lightning deck on Day 1, but I factored in playing against two, and figured I could beat everything that wasn’t a Lightning deck and still make Day 2. I was right on that regard, I got 7 rounds against non-Lightning decks, so even with taking losses to the two Lightning decks I played against I could finish Day 1 with a very solid 7-2 record. However, I didn’t execute fully in my other matchups picking up a tie in one of them which ultimately is what kept me out of Day 2, not the M Manectric decks. On that note, Seismitoad EX/Crobat PHF was where I picked up a tie where I would have wanted a win. This matchup, in my testing, was favorable for M Rayquaza EX. It takes them a long time to knockout a M Rayquaza EX, and any time you can get Sky Field out and a sixth benched Pokemon you were taking two prizes on a Seismitoad EX with Emerald Break. Additionally, you could hurt their resource stock by removing Double Colorless Energy with Cobalion EX, and even gain turns of playing Items sometimes. The Item lock was disruptive towards your setup, but the vast difference in attack power gave you the edge. In my games against Seismitoad/Crobat, I decked out my opponents in two of the matches as they have to go through most of their deck to take six prizes against you. In one of my rounds against Seismitoad/Crobat, I played against the player directly next to me in the Championship Point standings, and Game 3 for the match came down to a sleep flip. Theoretically, the players next to you are going to be the players most similar in skill, and when skill is equal then luck decides game outcomes which is what happened there. In my tie against it, in the third game, I couldn’t find M Rayquaza EX’s without being able to play Ultra Ball because of the Item lock. Once I started having difficulty finding M Rayquaza’s I probably should have altered my strategy much more quickly and tried to win the matchup with Aegislash EX and Cobalion EX instead of banking on drawing into a M Rayquaza. I think I had around an 80% probability of losing that Game 3, so I was fortunate that Seismitoad decks take a long time to beat M Rayquaza decks and that time ran out. I played against two Bronzong decks, one was a straight Metal version and the other was a M Rayquaza EX deck built similarly to mine. The Metal version actually played two Kecleon, but this isn’t as hard to maneuver around as it might first appear. Kecleon only really punishes you if you let it. 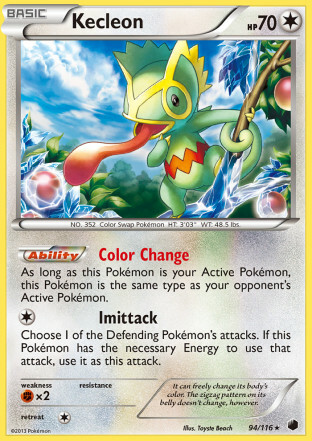 There are a couple of things going your way in this matchup that help you work around your opponent’s Kecleon. First, your opponent’s deck isn’t built as much around getting a bench of 8 Pokemon as yours is, so they’re more likely to whiff the 7th or 8th Pokemon needed (depending on if they have a Muscle Band) to OHKO a M Rayquaza with Kecleon. Additionally, if you don’t evolve into M Rayquaza EX, then they can’t copy Emerald Break for OHKO’s. During Game 2, I chose to not evolve my Rayquaza EX’s until I wanted to attack with them to keep Emerald Break targets for Kecleon off the field. It also helped that my opponent played Mewtwo EX’s in his deck, which gave me a target to get OHKO’s with Kecleon on by copying X-Ball. In the mirror match, I found while Kecleon is important to trading prizes correctly, getting out more M Rayquaza EX than your opponent and being the most aggressive generally won the mirror. In the mirror, whoever strikes first generally wins the game. Knockout three EX’s and you win, so you should focus on getting the first knockout on an EX and then try to Lysandre EX’s two more times for game. I don’t quite remember this match from the tournament much, but this was my approach to the matchup and I’m sure it’s the same approach I took this match. I actually thought I would play against more Raichu than I did M Manectric, but M Manectric picked up a lot of popularity in the week heading up to Nationals. My matches against these decks weren’t super one sided, but the M Manectric players were in control throughout most of the games. The Ninetales is really hard to work around because it locks out Sky Field, preventing you from scoring OHKO’s on M Manectric EX. Even if you get Altaria out, they can still trade prizes favorable against you by using Lysandre to bring up Shaymin EX’s on your bench if you couldn’t discard them when they bounce your Sky Field. I think the best way to deal with Ninetales is to use your Keldeo EX to knock it out. 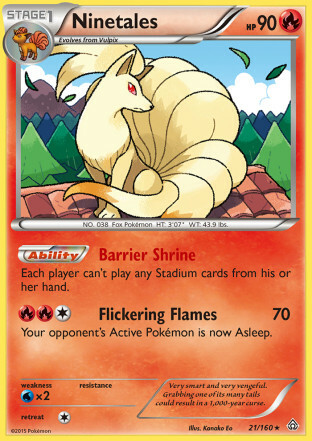 I didn’t think of using Keldeo as an attacker to knockout Ninetales until it was too late in the third game of the series. As for the Articuno variant, in both games I was able to successfully take out all of my opponent’s M Manectric EX’s for game, but when the game was tied on prizes, my opponent was able to knockout a non-EX for two prizes to seal the game. 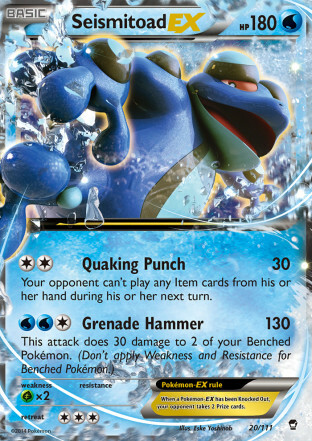 Especially in the second game, I tried not to bench low HP Pokemon for my opponent to knockout with Articuno, but I was forced to bench them to take a OHKO on M Manectric EX, and hope my opponent didn’t have the Lysandre for game, which they were able to get in both games. 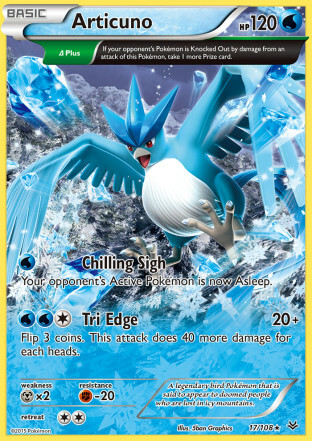 Articuno is very strong for M Manectric decks now that there are a lot of decks playing low HP Pokemon for it to take two prizes on, helping M Manectric EX get a good prize exchange against a lot of decks. My other two matches against M Gardevoir and Yveltal EX worked very solidly in my favor as M Rayquaza EX’s power level as an attacker greatly exceeds anything in those decks. When you’re taking OHKO’s to your opponent’s 2HKO’s, you’re able to trade EX prizes 4-2, which is a very large advantage against Yveltal EX. While M Gardevoir EX has the potential to one shot, you deny them the ability to tank with your own OHKO’s while also knocking three Energy off their field limiting their attack damage. This is one of the reasons I chose to play M Rayquaza for the tournament, as against most EX decks you’re stronger and able to pull off this prize trade. With my approach to the deck, I put a heavy emphasis on attacking with M Rayquaza over my other options. For this reason, I’m not sure that a 3-3 Bronzong line was warranted. I talked to a lot of players that played the deck over the weekend and saw anywhere from 2-2 to 4-3 Bronzong lines. 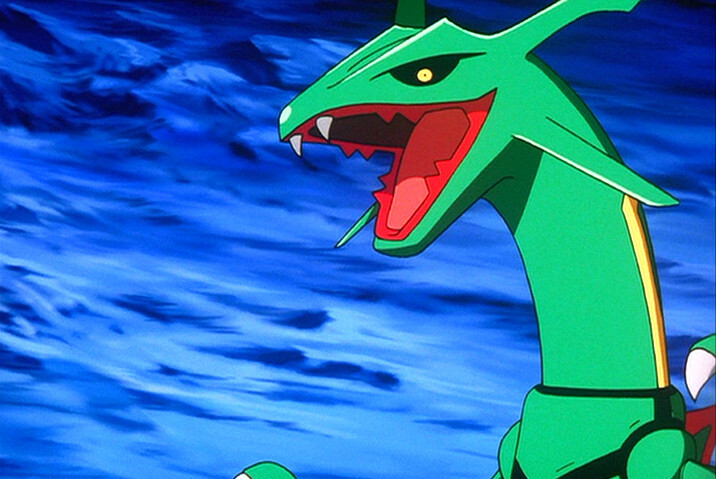 For my approach, I think a 2-2 line could work to keep M Rayquaza’s flowing throughout a game. With this extra space, there are a few ways to go with the deck. One option, would be to use those two slots for the last two cards I cut for the Altaria line, which were a Battle Compressor to get Lysandre in the discard pile to fetch with VS Seeker as well as a Bunnelby to cycle back resources in the deck. Another option could be to thicken the Altaria line to 2-2 to help with the Lightning matchups, or to put in a Ninetales of my own to lock in Sky Field against other decks that are trying to lock in a Stadium with Ninetales. I was very satisfied with my deck choice for the tournament. 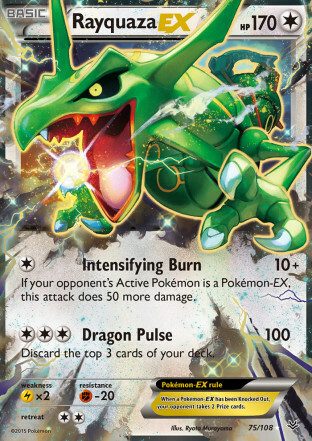 Going into the tournament and even after, I strongly believe that M Rayquaza EX with Metal support is one of the strongest decks in the format. I’ll probably try to come up with something new for the World Championships, but M Rayquaza would be a comfortable fall back deck for the tournament if nothing else clicks. With the Top 128 finish, I added 50 championship points to close the 2014-2015 season with a total of 496 Championship Points. I will start the new season at the World Championships in August!